Lehigh Oral and Maxillofacial Surgery has been servicing the Lehigh valley for over 57 years, as the go-to center for Oral and Maxillofacial Surgery. All of our surgeons are Board Certified. Their unique combined experiences allow them to give our patients the most comprehensive treatment available in our area. We pride ourselves on making our patients feel comfortable and welcome. We strive to make each person's experience truly personal to their individual treatment. Oral and maxillofacial surgery is a dental specialty that involves the diagnosis and surgical treatment of diseases, injuries, and defects that affect the health and aesthetics of your face and mouth. At Lehigh Oral and Maxillofacial Surgery, we have received extensive training and education, and have substantial experience performing a wide array of different, complex procedures. Not only are we able to restore your oral health, but we are also able to restore facial aesthetics, as well as your comfort and confidence. We offer a number of oral surgery services, including Dental Implants, All-on-4® Treatment Concept, Wisdom Teeth, and more. If you are ready to schedule your appointment, call us today at (610) 435-6161. Whether this is your first visit or your twentieth, we promise to make your appointment quick and pleasant. Most people simply don't have enough room for them to fit. We offer sedation for those patients with dental anxieties. Drs. 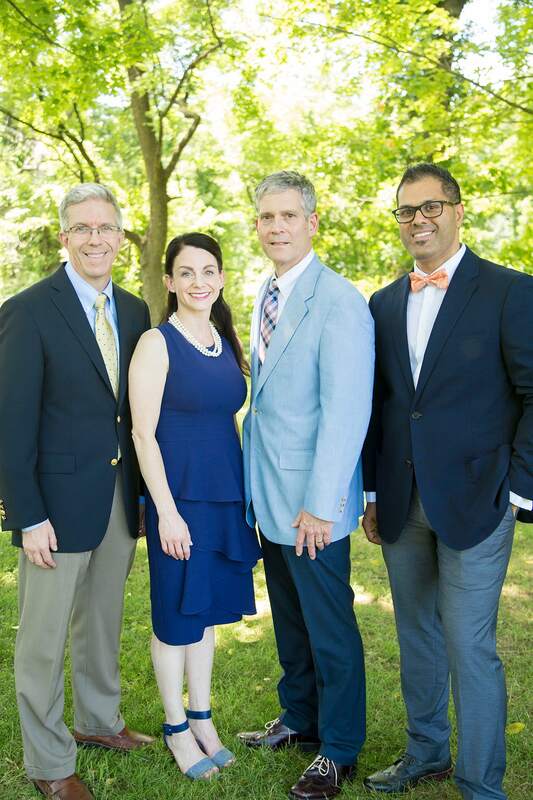 Gregory Dimmich, DMD, David Bender, DMD, Ankur Johri, DDS, MD, FACS, and Danielle Holland, DMD are Board Certified Oral and Maxillofacial surgeons serving the Allentown, PA and Hellertown, PA areas. Their offices are conveniently located in Allentown, PA and Hellertown, PA.
"Appointments are prompt and you are attended to professionally and friendly. A 2:00 appointment means you get called back at 2 and care starts promptly. Outstanding. The extractions and implants were done well and staff was caring and professional. Kudos to Dr. Bender and staff." ~ Mike W.
"Made it really comfortable for my surgery. I was really skeptical about the procedure and the staff made me feel at peace. The procedure was quick." ~ Lesley L.
"Staff was very pleasant and professional. Dr. Dimmich communicated throughout the process. Questions answered willingly. Can't imagine how it could be done better." ~ Ed M.
"Procedure was painless with help of Novocaine. Of course, when that effect wore off, there was some pain, as expected. Staff was professional, yet all were also friendly." ~ Thomas G.